Glenn Frankel at the University of Texas wrote a book about the John Ford movie, “The Searchers.” It’s release, and stories about it, should remind us of the history of Quanah Parker, the last great, chief of the Comanches. “The Searchers” was loosely based on a true story, the kidnapping of Cynthia Ann Parker, by Comanches, and her subsequent life with the tribe, and her recapture by white relatives. 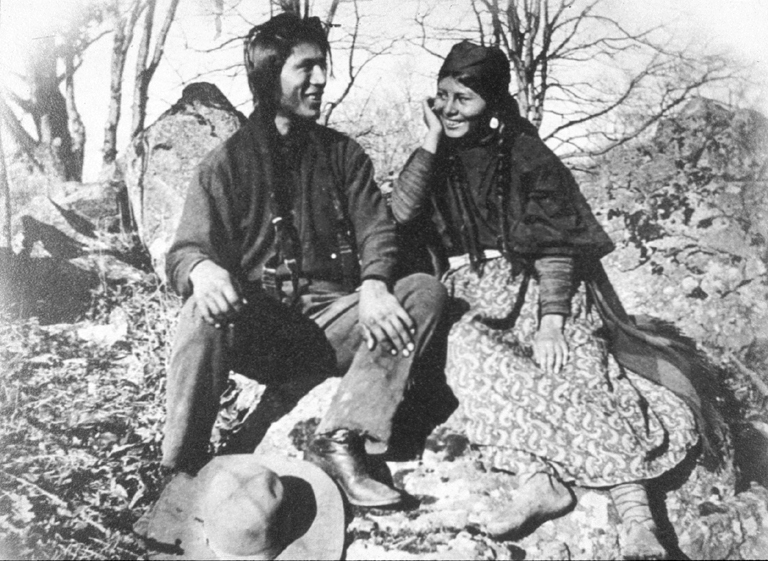 She had married in the tribe — Quanah Parker was her son. Sul Ross was a character in his own right. At the time he participated in the raid that recaptured Cynthia Parker, he was a student at Baylor University (“What do I do on summer breaks? I fight Indians.”) At the outbreak of the Civil War, Ross enlisted in the Confederate Army as a private. Over 135 battles and skirmishes he rose to the rank of Brigadier General, the ninth youngest in the Confederate Army. A successful rancher and businessman back in Texas after the war, he won election as governor in 1887, served two very successful terms (he resolved the Jaybird-Woodpecker War in Fort Bend County, and had to call a special session of the legislature to deal with a budget surplus), refused to run for a third term, and was named president of Texas Agricultural and Mechanical College (Texas A&M) within a few days of stepping down as governor. Ross’s leadership of the college is legendary — students put pennies near a statue of Ross in a traditional plea to pass final exams, among many other traditions. After his death, Texas created Sul Ross State University, in Alpine, Texas, in his honor. 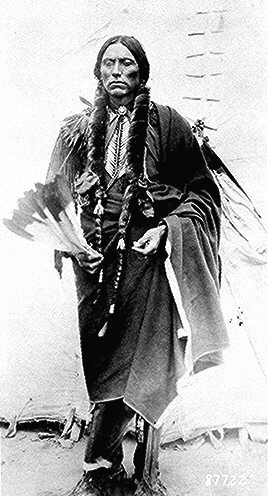 Quanah Parker’s father, Noconie, died a short time after his mother’s capture. He left the Nocona band, joined the Destanyuka band under Chief Wild Horse, but eventually founded his own band with warriors from other groups, the Quahadi (“antelope eaters”) (also known as Kwahadi). The Quahadi band grew to be one of the largest and most notorious, always with Quanah leading them. 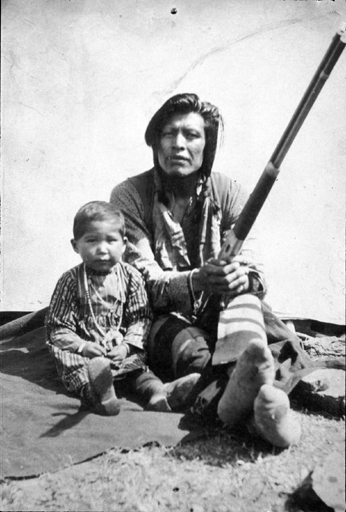 The Quahadis refused to sign the 1867 Medicine Lodge Treaties, and so avoided immediate internment to a reservation. However, dwindling food supplies and increasing opposition forced Quanah to retire to a reservation in 1875, in what is now southwestern Oklahoma. This was the last Comanche band to come to the reservation. We lose important anniversaries in the holidays between Thanksgiving and Valentine’s Day, especially in that school-less period from a few days before Christmas to a few days after New Year’s Day. Today is the anniversary of the Massacre at Wounded Knee, December 29, 1890. I don’t have an appropriate post ready — I just matched the date up last night. I hoped someone would have a good memorial up today. But I haven’t seen one, yet. How can we remember, if we forget even to note the date? In the 19th century, the U.S. Mint struck medals with the likeness of the sitting president, for use as gifts to foreign dignitaries. Often these medals would be given to Native Americans as tokens of friendship between the government and the tribe, or as a ceremonial gift on the striking of a treaty. Famous photographer of American Indians Edward S. Curtis took this photo. 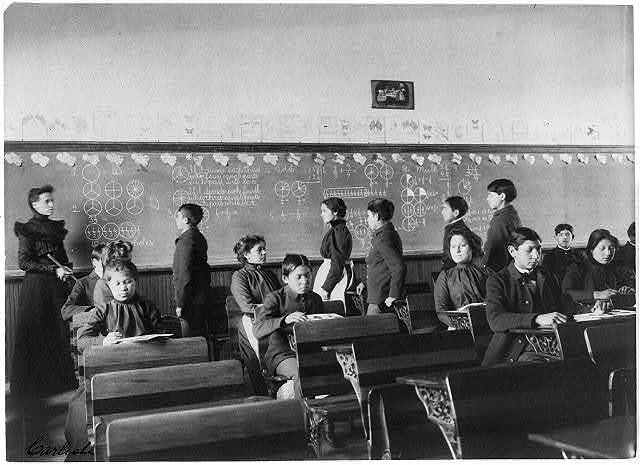 The photo was copyrighted on November 19, 1908. Published in: The North American Indian / Edward S. Curtis. 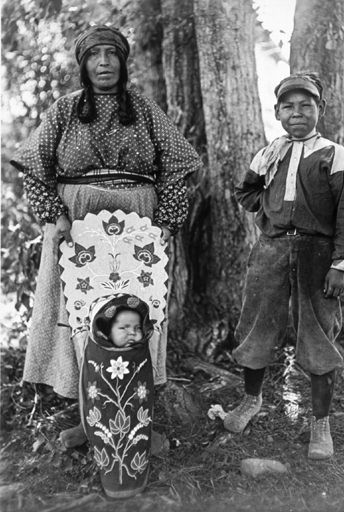 [Seattle, Wash.] : Edward S. Curtis, 1907-30, Suppl. v. 5, pl. 166. Is the medal the 1851 Indian Peace Medal, perhaps? Without medals, any plan of operations among the Indians, be it what it may, is essentially enfeebled. This comes of the high value which the Indians set upon these tokens of Friendship. They are, besides this indication of the Government Friendship, badges of power to them, and trophies of renown. They will not consent to part from this ancient right, as they esteem it; and according to the value they set upon medals is the importance to the Government in having them to bestow. And, by the way — isn’t that a grand photo of Sitting Bear? 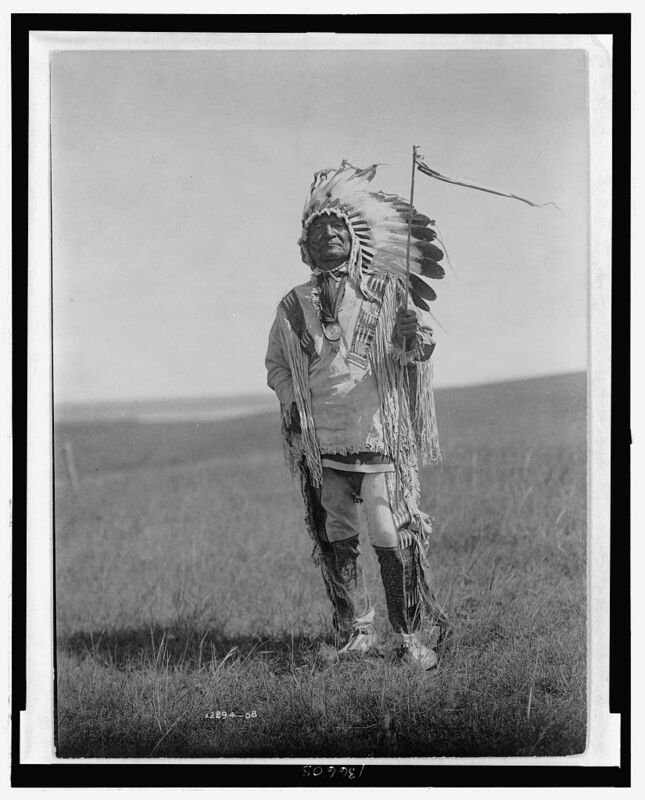 Even knowing that Curtis might, on occasion, take some liberties in clothing Indians he photographed, it’s a great photo in a great setting of a great man. Some of the most interesting stuff of history can only be found accidentally. You don’t know what you don’t know, and so the only way to find it is to stumble into it in the dark. Pamela Bumsted sent me a link to this site, which describes the travails of the Winnemem Wintu, a band of people native to the area of California from Sacramento, going north. 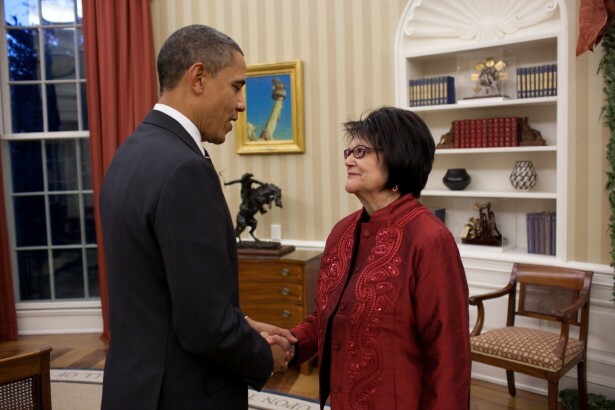 It is an American Indian tribe, except under the view of the U.S. government. Their troubles relate to their giving up claims to their traditional lands in a treaty with the U.S. government, during the administration of Millard Fillmore. Alas for the Winnemem Wintu, the treaty was not ratified by the U.S. Senate, and their own claims to their own lands fell out of law and out of history. In the 1851 Treaty at Cottonwood Creek, the Winnemem (represented by the signature of Numterareman), along with other Wintu bands, ceded a vast territory from Sacramento to near the Oregon border to the United States in exchange for a 25-square-mile reservation along the Sacramento River. The California legislature lobbied against the treaty to the U.S. Senate which, in turn, pressured President Millard Fillmore to refuse ratiﬁcation of any of the 18 treaties signed “in peace and friendship.” As a consequence, the Winnemem never got their reservation and started losing their traditional lands to encroaching settlement and the designation of the Shasta National Forest in 1906. Eighteen treaties were not ratified by the Senate? Which 18? What happened to those bands? Were they all California bands?